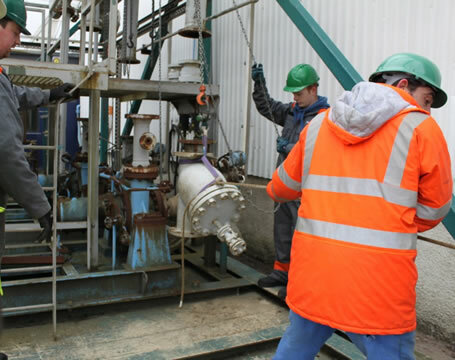 The OPITO Approved Rigger Training provides the introductory training programme for personnel wishing to become competent in Rigging activities in the Oil and Gas industry. The training course syllabus was developed by members of the Step Change in Safety competency subgroup and representatives from OPITO. The target group for Stage1 is personnel who have little or no training and experience in rigging and lifting operations and wish to gain an OPITO Rigger Training Certificate. There are no pre-requisites for Stage1 Initial Training. Day one is carried out in the classroom and day 2 and 3 doing practical exercises. There is a written test with 80% pass requirement. Successful delegates will leave with a handbook to record Stage 2 (on-the-job assessment) which must be presented to an OPITO-approved assessment centre with in two years of the date shown on the stage 1 Certificate. The price is £585 +VAT Per Person plus £25 +VAT for the OPITO Certificate and £6 for Evolve logbook. Please chose from the dates and locations listed below. Select the number of attendees and book to secure your place today. If none of the dates are suitable, please get in touch with your prefered dates and we will see what we can do. We are serious about security and with Worldpay, security is top priority.